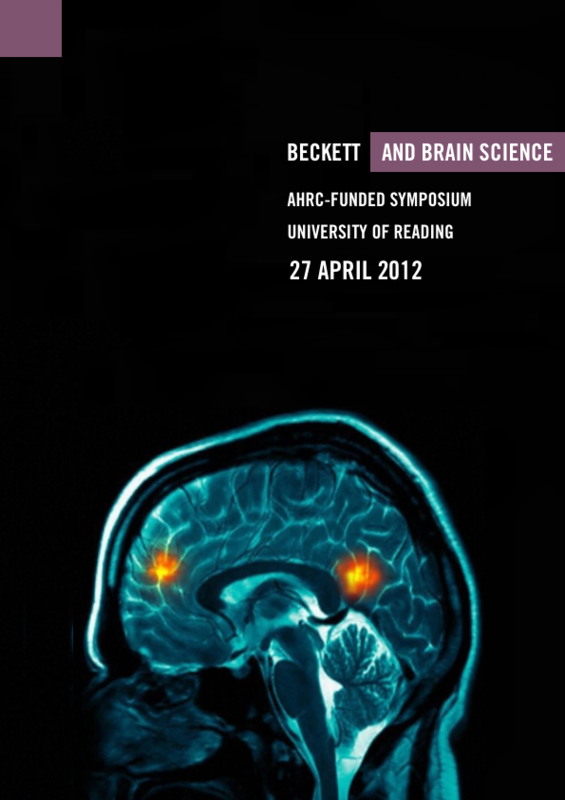 Beckett and Brain Science is a research project led by Dr Elizabeth Barry (University of Warwick), Dr Ulrika Maude (University of Reading) and Dr Laura Salisbury (Birkbeck, University of London). It is funded by an AHRC Science and Culture Exploratory Award, and explores the interconnections between neurological and psychiatric conceptions of language, embodiment and the self in the work of Samuel Beckett. 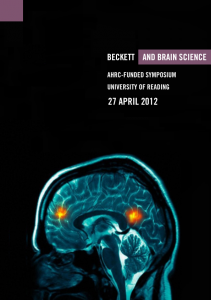 Below is the programme for a one-day symposium on Beckett and Brain Science, to be held at the University of Reading Special Collections on 27 April 2012. The symposium will be held in the conference room of the University of Reading Special Collections. The building housing Special Collections and the Museum of English Rural Life is located in Redlands Road. There are a limited number of rooms available in Black Horse House on the University campus. For bookings, please contact Miranda Hogg at blackhorsehouse@reading.ac.uk, tel. 0118 378 8906, quoting ‘Beckett and Brain Science’. This entry was posted in Department of English Literature news and events and tagged AHRC, Beckett and Brain Science, Department of English, Department of English at University of Reading. University of Reading English Department, Dr Elizabeth Barry, Dr Laura Salisbury, Dr Peter Fifield, Dr Ulrika Maude, English Department, English Literature, Fail Better Productions, Jonathan Heron, Professor James Knowlson, Professor Mary Bryden, Professor Ronald Schleifer. Profesor Dirk Van Hulle, Reading, University of Reading. Bookmark the permalink.